A great tool to keep your work desk or workshop organized. Parts box for securely holding small electronic components in individual compartments. 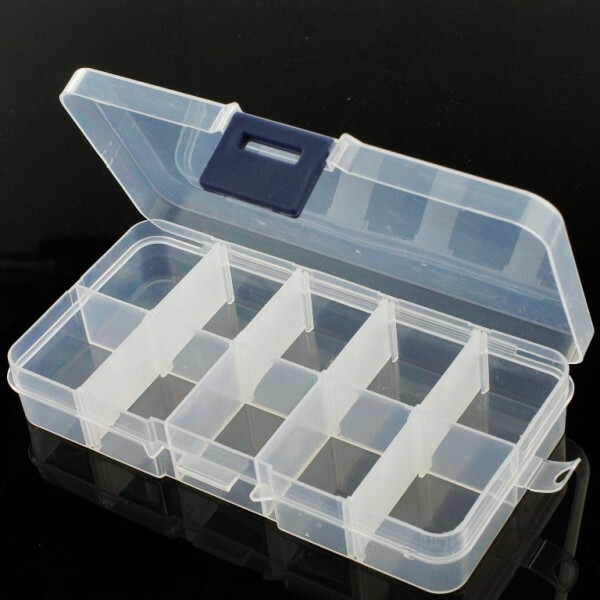 Adjustable Compartment Parts Box- 10 compartments (1 unit). 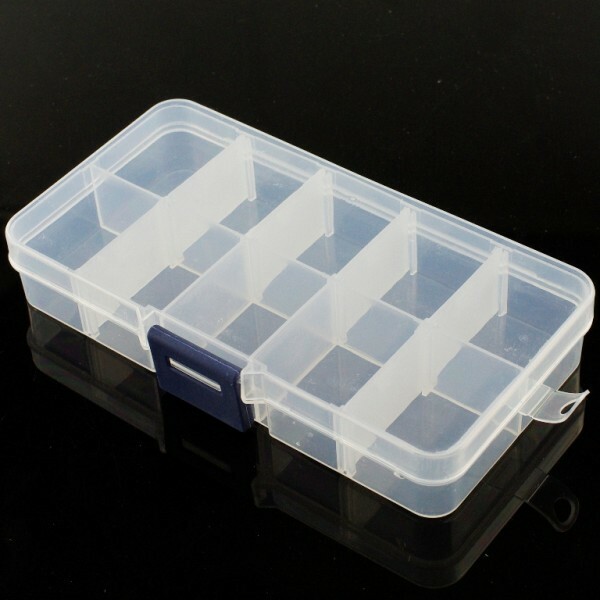 Possible Number of Compartments: 4 to 10.